Prevention is always better than cure and preventative maintenance is a proven and cost-effective way to protect property by extending the life cycle of the buildings’ assets. For example a roofing and guttering maintenance programme will reduce potentially costly damage from floods and leaks. Every day activities for example cleaning and gardening. Scheduled and cyclical work including clearing drains, testing fire alarms and pruning trees. Planned property maintenance such as decorating common parts, resurfacing car park and roof repairs. 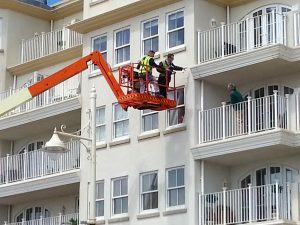 When we take over the management of a property our surveying team will work closely with the appointed Property Manager and client – whether that is the landlord, Right to Manage Company or Residential Management Company (RMC), to assess what work might need to be done over a five year period. We will then develop a bespoke property management strategy that will include all three of these elements. We will then develop a programme of work that will always take into account the unique characteristics of the building to identify and prioritise what needs to be done and also help with budgeting for major projects that might be needed in the future. This is a complex and challenging activity that draws on the full range of surveying skills but it will ensure that the building and its components are properly maintained and satisfy legal obligations as well as helping to prevent any nasty surprises. 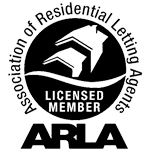 It also means that work that might require Section 20 consultation with leaseholders or planning permission with a local authority is correctly planned. Austin Rees Ltd is an appointed representative of R T Williams Insurance Brokers Ltd, The Old Coach House, 110 Old London Road, Brighton BN1 8BB. Registered in England and Wales no 4994416, which is authorised and regulated by the Financial Conduct Authority.